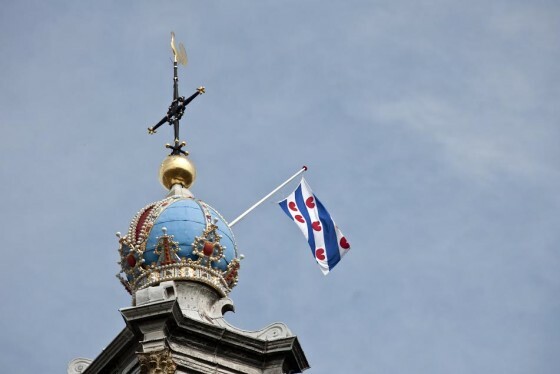 When Leeuwarden won the Dutch bid to become European Capital of Culture in 2018, the Frisian flag was hung from the tower of the Westerkerk church in Amsterdam’s historic centre in celebration. The Frisian capital had an outsider chance of beating much bigger cities like Maastricht and Eindhoven to host the ECC 2018, but it also had a couple of secret weapons. Firstly, its Mienskip, the Frisian community itself. The Leeuwarden-Fryslân bid didn’t spend huge amounts on advertising agencies to develop a publicity campaign, but looked to its own residents to come up with their own ideas and initiatives. Secondly, it is keeping costs down to a modest €74m. The city is not planning to build massive hotels to accommodate the extra visitors. Empty farms, schools and churches will be revamped to take in the extra influx. And thirdly, the city is planning well beyond 2018 to make sure the legacy doesn’t end up being a white elephant. Many of the projects would have been carried out if Leeuwarden hadn’t won the bid. However, the fact that it has is a tremendous impulse. Leeuwarden’s prime example is Liverpool which held the title of European Capital of Culture in 2008. In the 1980s, this once magnificent metropole was being run down as part of the then prime minister Margret Thatcher’s policy of ‘managed decline’. Thirty years later on, the city on the Mersey has been transformed into a bustling hub. In 2008, an extra nine million tourists spent an extra one million pounds. And day trippers have been flocking to the city ever since. Leeuwarden hopes to emulate that effect, attracting as many as three million additional visitors to the Netherlands’ northernmost province. At the same time, it hopes the event will be an economic boost to the whole region. In spite of its pretty medieval streets, you cannot help noticing the odd empty shop window in this fortified city. Leeuwarden loses many of its young people to other Dutch cities and finding work is a problem. But that could be about to change. Talented creatives are trained at the Academy for Pop Culture to turn their interests into thriving start-ups. International students are being attracted to the brand new European Institute for Water Technology. The cells of former prison complex De Blokhuispoort now house offices and studios for creative entrepreneurs. The forbidding old prison has also become a venue for upcoming local talent organised by Podium Asteriks, which began as a bottom-up initiative five years ago. In fact, it is striking how the young people involved in the 2018 projects feel responsibility for their part in the preparations. Everyone, from marketing staff to festival organisers are quick to say ‘We are responsible for the European Capital of Culture in 2018’. Take Welcome to the Village which began as a local initiative with young enthusiasts setting up their own 3-day festival. “The village is central to how we set up the festival, it’s a metaphore for society in general, where everyone has a part to play,” says Koen Haringa of the festival’s management team. Two years on, the organisation has professionalised with an impressive line-up and 6000 visitors. Nevertheless it is still very much a self-made event relying on its 500 volunteers. Construction work is also underway on Neushoorn (rhino), which will not be just another pop podium. This cultural centre may have been funded by the local municipality, but that is where interference from the authorities ends. Programming, running and use has been handed over to Leeuwarden’s bright minds. On their white board it says ‘Avoid the P-word’ at the top followed by a whole load of synonyms for the word podium. In 2018, events will be held throughout the province and far beyond. The 11 cities 240-km skating marathon has become famous throughout the world even though the winters in which it is held are few and far between. It is major events like this that demonstrate Friesland’s potential to rally its community quickly. A unique fountain will be designed for each of the 11 cities. In Leeuwarden, a fountain entitled Love by Spanish artist Jaume Plensa will consist of two huge heads of a boy and a girl in the mist, inspired by the mist that hangs over Frisian fields at dawn.